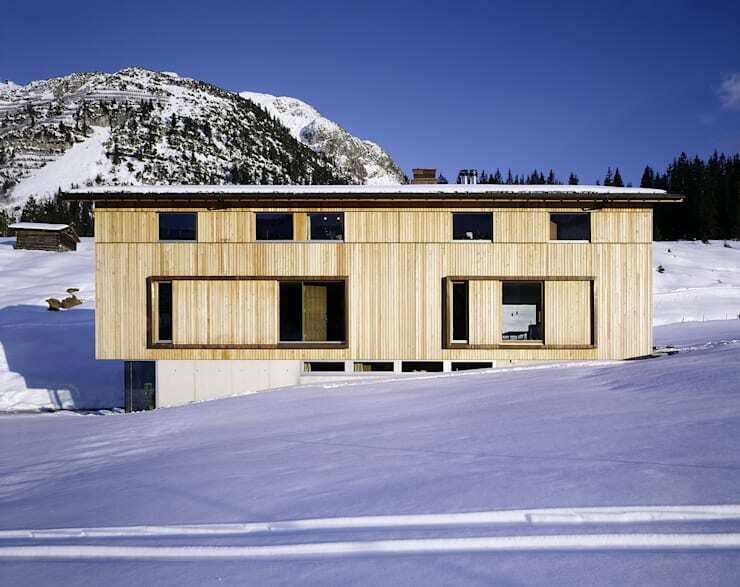 Dietrich Untertrifaller Architects know a thing or two about creating something magical out of wood. 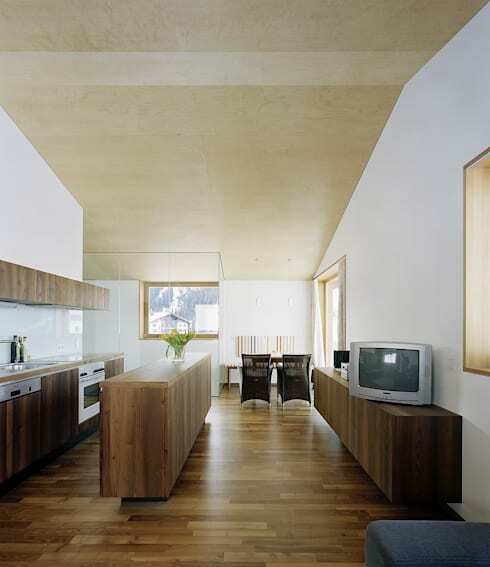 House S, situated in Bregenz, Austria, is just one of many projects that amply demonstrates this fact. 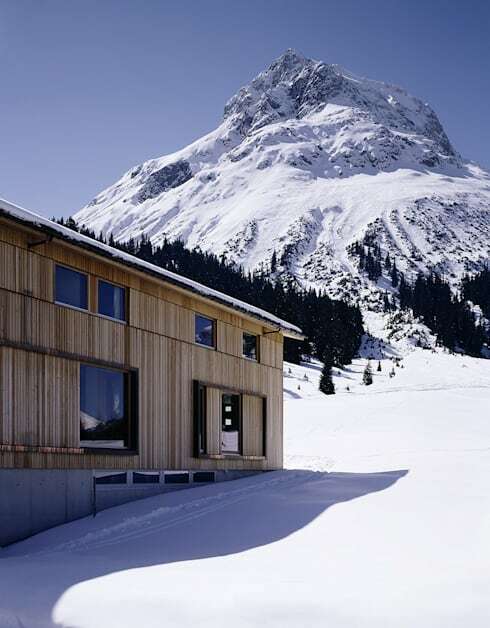 Tucked away in the mountains, it offers a magical mix of romantic rural seclusion and more contemporary aesthetics. Most people have a particular lighting or environment that shows off their best physical features most effectively, and houses can actually be very similar to us in this respect. 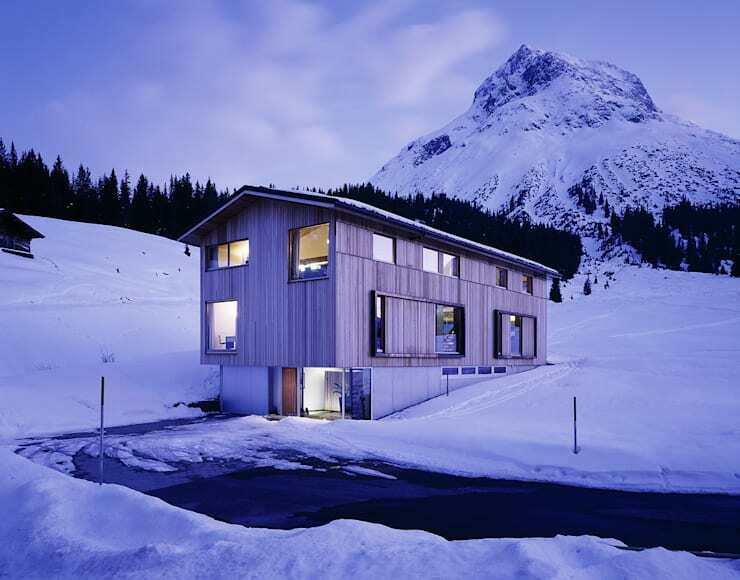 In the case of House S, the conditions required to maximise the beauty of its assets are quite simple: snow, snow and more snow. As this picture shows, it’s the ultimate accessory for a modern home inspired by traditional wood cabins, showing up the pretty stripes created by the narrow wooden planks to their best effect. As conventional as this setting may be for a house of this style, there are plenty of features that show evidence that the architects behind this project are far from slaves to custom. The uneven distribution of the windows, for example – as well as their uneven size, and the wood sections that divide up those on the lower floor – shows that symmetry and exactness were not priorities here; that there was the hope of achieving something a little more raw. Finding a location and visual style that work as partners rather than competing against each other is a great challenge for many architects, but who could deny that in this case that goal has been thoroughly achieved? It’s not easy to picture a backdrop that would better suit the house, or a house that would better suit the backdrop. The unbalanced nature of the house, which accommodates the gentle incline of the ground on which it is built, is most clearly seen here. Choosing a different material for the external cladding of the lower portion makes it seem like it’s a separate object; like the house is just resting on it and the two are not connected. This is not, of course, the case. Inside, the pleasing stripy effect continues due to the use of wood with strong contrasts in tone. The room is peaceful, uncluttered, absolutely understated, with not an item more on display than is absolutely necessary for the tasks involved in day-to-day living. The space feels quite modern, certainly far from dated, but there are no definite indicators of era to be seen anywhere, and the style of the interior is unique enough that it’s difficult to place exactly in time. 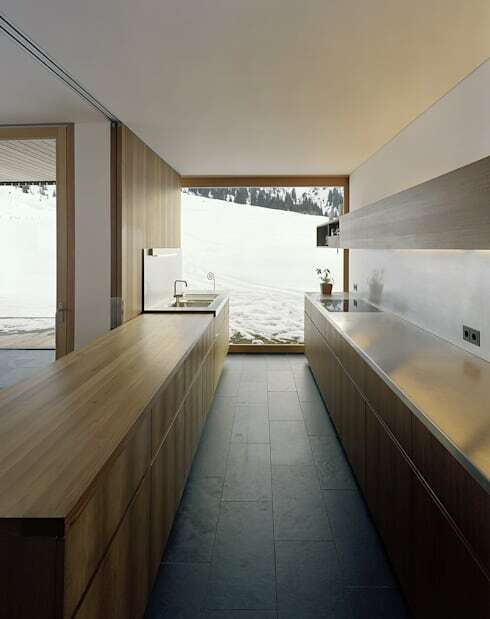 One entire wall of the kitchen is given over to this enormous, square window, which not only provides plenty of light but acts as the only real piece of decoration required here. Why bother hanging a picture on the wall when it’s possible to just look out and see that marvellous wintry scene? 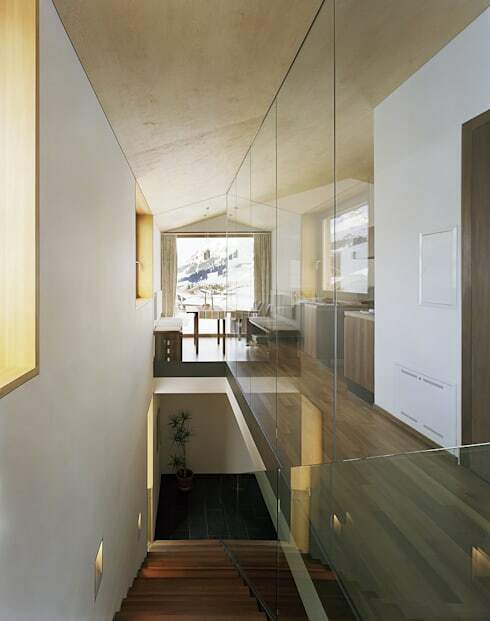 There is, of course, a great deal more wood to be found up here, but the decision to use a glass dividing wall to act as a barrier to the stairs brings an undertone of something different. This floor appears less rustic and more contemporary, leaning towards minimalism rather than rural chic. What are your thoughts on this project? Tell us here!